Wool yarn is an excellent type of yarn to knit with due to its great stretch and has been used to keep us clothed for thousands of years. In this article, we will explore the origin, benefits, disadvantages, and maintenance of sheep wool. We go through this natural fibers incredible powers and amazing abilities and advise you on how to treat your wool garment. Wool is sourced primarily from sheep. However, many other animals, such as goats, rabbits, and alpacas, amongst others, also produced wool. We will today focus on sheep's wool, with more articles to come on wool from other animals. Wool is a textile fiber that originates from various animals that gives them many of the benefits that we humans seek when knitting that next project, whether it's a hat, a sweater or a shawl. Wool has several features that make it distinct from hair or fur; it is elastic, scaly, crimped and it grows in clusters. The properties of wool, particularly it's scaling and crimp make it easier to spin the animals fleece into yarn. 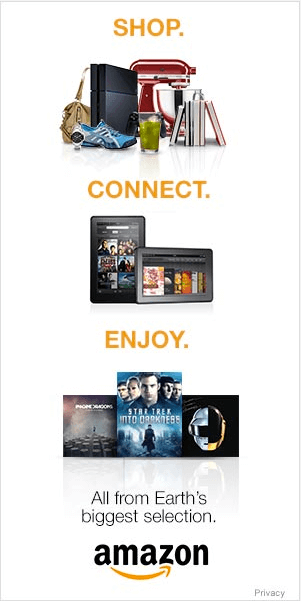 The individual fibers will latch onto each other, thereby staying together. Humans have utilised the great benefits from wool all the way back to the stone age and has kept its solid reputation as a knitting yarn with its variability in texture and distinctive advantages. Wool is an incredibly elastic fiber thanks to its coil-like structure. Stretch your wool sweater and it has the tendency to stubbornly jolt right back to its constructed form. It is the natural crimp that resides in the fiber that gives it this great springy ability. Wool can be stretched up to 50% when wet (30% when dry) and still bounce back to its original shape. Thanks to this elasticity, stuff your jumper into a backpack and watch it come out wrinkle free when you pull it out. Additionally, wool yarn is the preferred yarn when it comes to fitted projects or projects that needs a little stretch like gloves, indoor footwear, outdoor garments and much more. Looking for something sturdy? Its flexibility also makes it more durable, making it less likely to tear. In fact, wool fiber is 7 times stronger than cotton and 10 times stronger than silk. Thanks to the structure of the wool fiber, the outer skin acts a protective film, making it more resistant to abrasion. Something to bear in mind when you knit that jumper for your tearaway nephew or niece. Anyone who has seen their number of cold winters will know about the incredible warmth of the wool. Wool is a bulky textile due to its crimp and holds air, which causes the fabric to retain heat. So when you next put on your wool sweater, it is your body heat that warms the air trapped through the yarn and acts like a warm, yet light layer of warmth. Cosy! Now, what about wool to keep you cool? For those of you who have dropped your knitting needles in surprise, let me explain. Wool has a very high heat coefficient. In plain speaking: wool impedes heat transfer. The air trapped in the wool yarn which keeps you warm in winter by regulating body temperature, also allows the garment to "breathe" during warmer periods. Did you know that wool can hold one-third of its weight in moisture without feeling damp or clammy? Go hiking or skiing or simply get a little sweaty in your woolen socks; the wool will wick the damp or moisture away from your skin. This interesting effect will make sure you are dry by absorbing and containing the moisture in the fibers. Also, the speed at which it allows this moisture to evaporate means it's quick to dry. On warm days, this means that odor-causing moisture (read: sweat), will be pulled away and quickly disappear. Thus, making it less likely to hold onto swells compared to other fabrics. 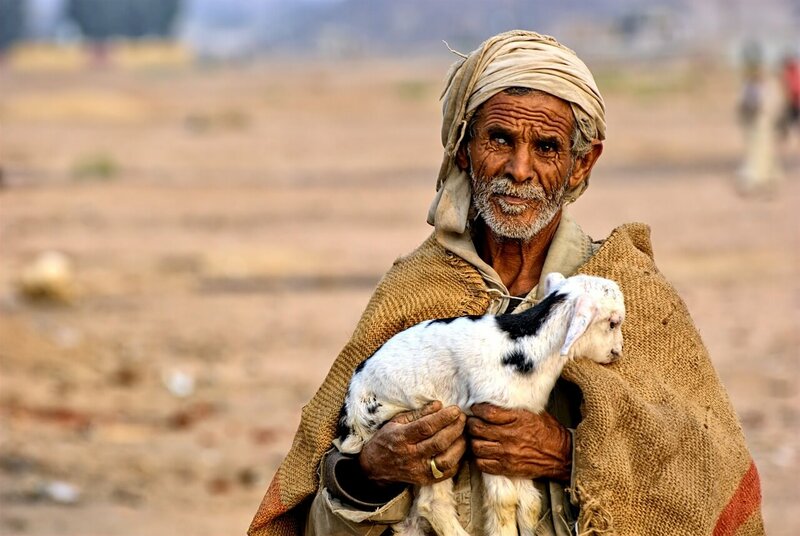 Is it any surprise that desert dwelling cultures such as the Bedouins have used wool for generations as an insulator against the harsh desert sun? When knitting summer garments (or for just generally, hotter climes), we suggest using a light-weight wool loosely knitted together. In combination with the upcoming benefit, the right wool can make a great summer fabric. This benefit of wool also makes it suitable for babies to keep warm while still being breathable so they won’t get overheated. If you are at the beginner level of knitting, wool yarn is one of the best types of yarn to start out with. It is a patient and pleasant mistress to knit with; as its elasticity makes it easier to control concerning tightness and consistency, enabling you to knit with a more even tension. Wool contains moisture within each fiber, therefore allowing it to resistant flame without requiring any chemical treatment. Wool is self-extinguishing and will char, rather than burn when exposed to a flame, but will stop once removed. Through a combination of its structure, consisting of tiny overlapping scales (similar to roof tiles) and if untreated, the fatty lanolin from the animal, wool can be almost waterproof. 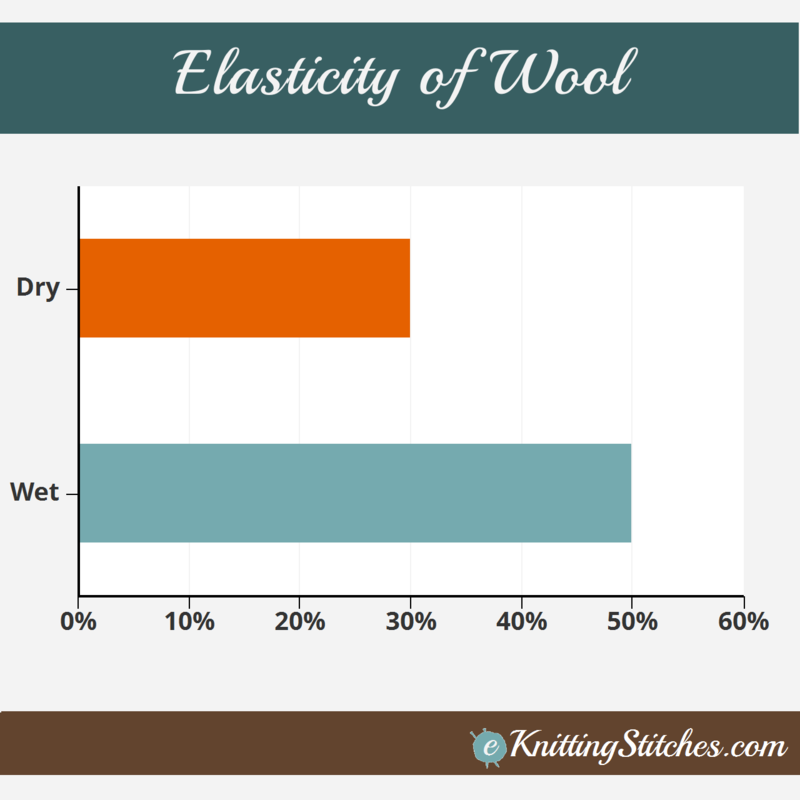 Wool fibers can soak up to 20% of their weight in water before it starts to leak through - many a fisherman have traditionally worn tight-knitted sweaters of raw wool to protect against the harsh elements. 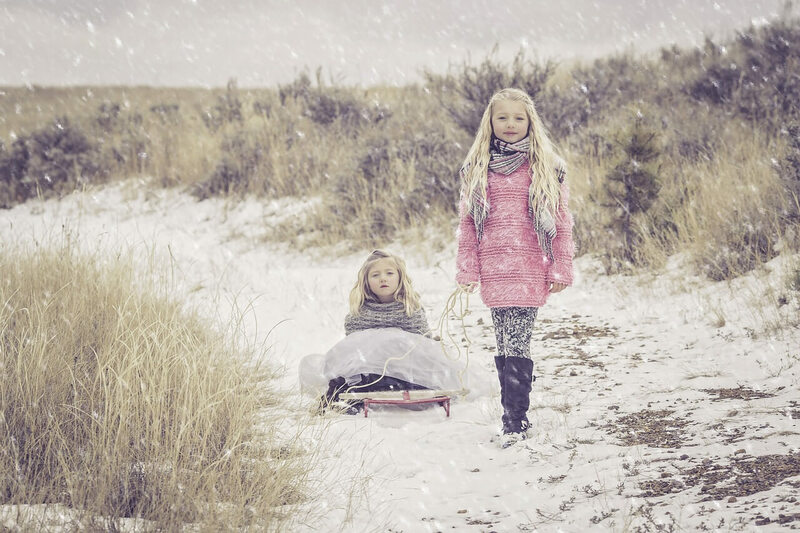 Wool naturally resists static, which is a draw for dust and dirt. Making it very easy to brush off any detritus from you garment. Also, the scaling affect of the fiber means it is easy to remove stains from the fabric. 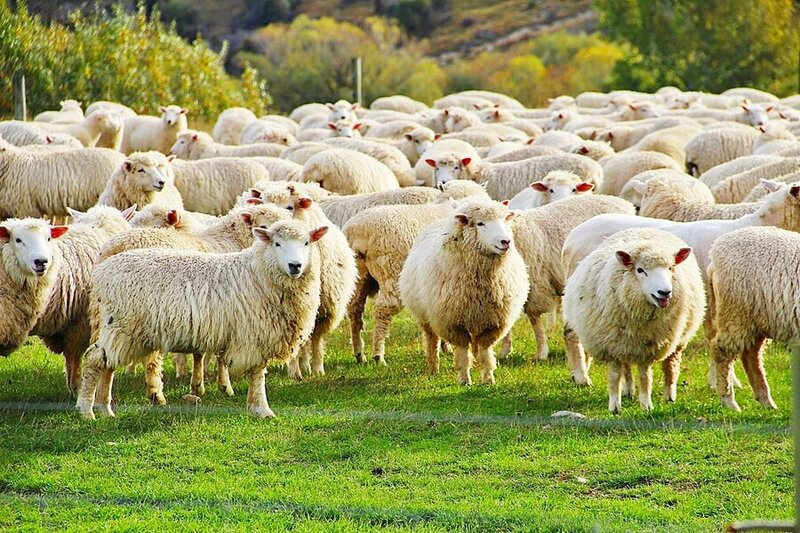 Wool naturally comes in many different colors due to the huge variety of breeds of sheep. In addition to natural colors available, wool is easily dyed thanks again to its absorbency and the natural structure of the fiber without having to resort to harsh or toxic chemicals. 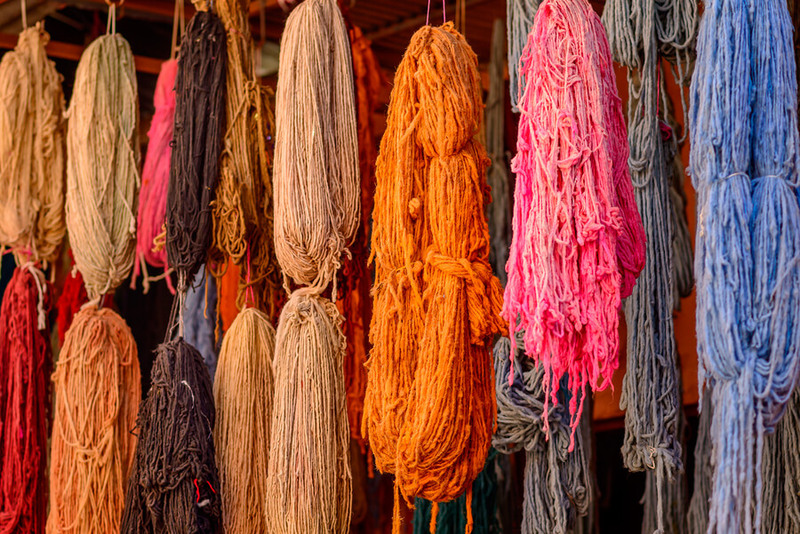 Almost any color or type of dye can be used on wool. Wool is a sustainable, renewable resource that has been shorn from sheep annually for thousands of years of human existence. The fiber, yarn, and garments created from it are biodegradable and are therefore kinder to the environment that oil-based synthetics. 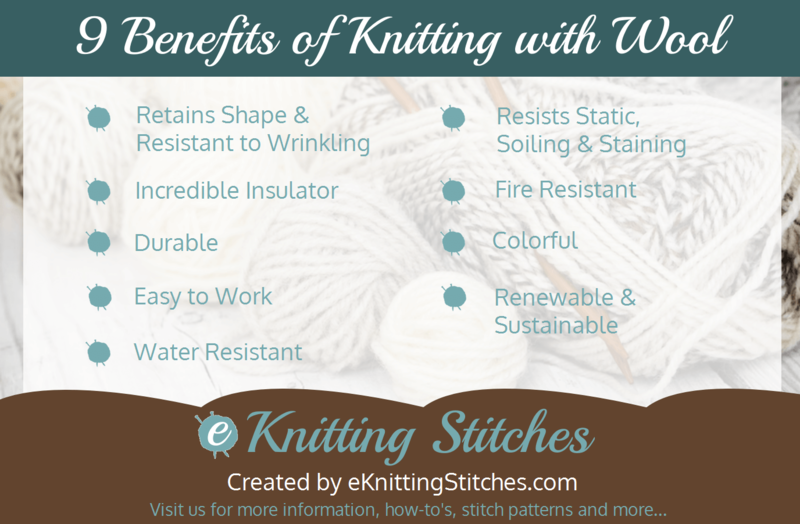 With so many great features, wool does also have a couple of drawbacks that for folks with skin sensitivities or allergies should consider before selecting your project. Some people are highly sensitive to the feeling of the fiber on their skin. Few are so sensitive, that even a mixture of wool and another fiber (i.e. less than 100% wool yarn) or a cheap wool yarn is too scratchy for them. Sheep wool carries lanolin. Lanolin is the sheep's own form of grease or wax that they produce to keep the wool water resistant and also to protect their skin. Lanolin is also what we use for some lip balms or as leather grease. A small portion of people are allergic to lanolin. If this is the case, you might want to consider a different kind of textile than sheep wool yarn or Merino wool yarn. Wool is sensitive. To care for your woolen garment always be careful with hot water – especially hot water and the centrifuge from the washing machine. Accidentally wash wool in a regular program in the washing machine, and your garment will now be a nice present for your next baby shower. Wool must be washed with lukewarm water without too much centrifuge or agitation. Therefore, it is preferred by many to wash their wool by hands in the sink to have more control over the process. Always look at the yarn of wool if there are any instructions on how to treat the yarn. There are numerous different types of wool yarn, some more sensitive than others. If you are unsure, wash your wool garments by hand. It is without a doubt the safest and most controllable way of ensuring your garment will not get damaged. Never hot water, always lukewarm. If you get a stain on your woolen garment, it is best to act fast. Carbonated water is great as the bubbles will help to agitate the stain loose from the fibers, but if unavailable cold water is a willing substitute. Remember to carefully dab the stain with a cloth, not rub. Removing odors from your wool garment, such as BBQ smoke, is as easy as letting it air and breathe in a breeze. Light can fade the dyes in clothes over time, so it is best to store your woolen items out of direct sunlight. Insects can ruin a wool clothing in no time if given the chance (I've lost one of my kilts to the little devils). It is an excellent idea to either cover the garment e.g. by using a suit/dress garment bag or to place mothballs (preferably the newer non-toxic) ones in the vicinity. 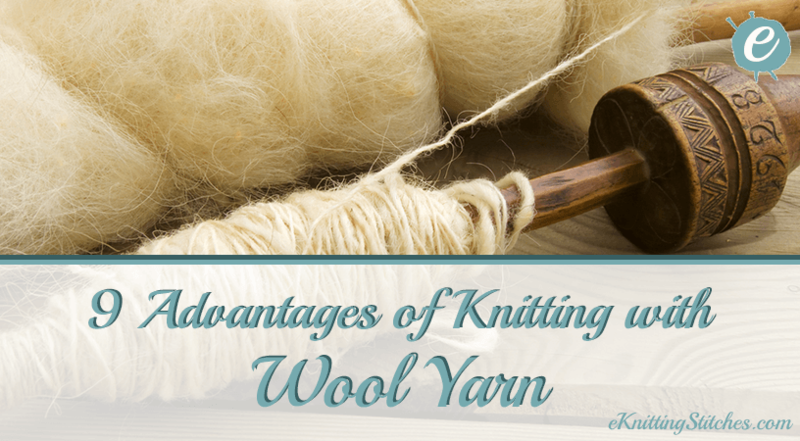 It should be clear why wool is such a popular choice for knitting, with the advantages clearly outweighing the relatively minor disadvantages. It is a strong, durable and flexible fabric that is easy to knit with and makes comfortable items of clothing for any weather. eKnittingStitches wish you all the best with your wool project.